Chair for a master ST-8, buy at the price of 73 in Europe. We present our chair for a master ST-8, which has all the necessary parameters to maintain your comfort at work. Why this chair can be attractive for you? 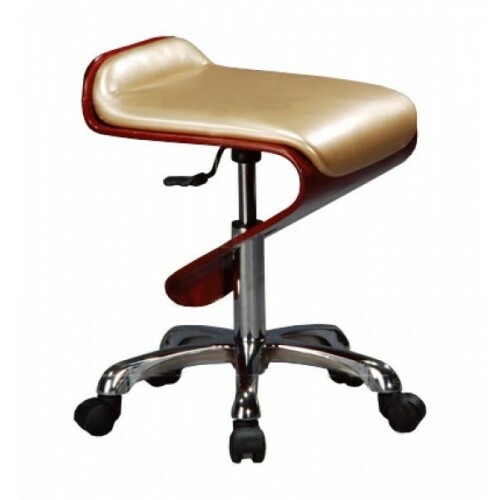 Firstly - the convenience of sitting in a chair, you will not experience excessive stress due to the strong backrest. In addition to this, you can adjust the height of the chair with the help of a hydraulic pump, which can make your job easier. The chair is equipped with rotating wheels, allowing you to move around your office comfortably. Secondly - strength, which chrome-plated base provides. Its purity can be maintained by conventional cleaning agents, which will allow you to preserve its beauty.